This Machine is made of stainless steel with easy equipment, it has been long tested and its performance gained a very high reputation from our clients because of its easy operation and smooth work in low failure rate. 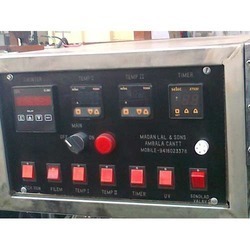 We can produce the machine under the special requirements of our clients. 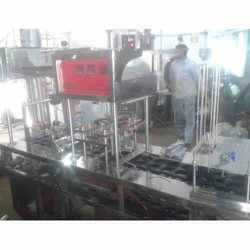 We are a leading manufacturer engaged in the offering Mineral Water Cup Filling Machine to the clients. Precisely designed, this machine is developed using premium quality materials and cutting-edge technology under expert supervision of our professionals. It is thoroughly checked on various parameters to make sure of its operational efficiency and flawlessness.all body made of ss. We are a trusted name in the industry for manufacturing and supplying Mineral Water Filling Machines. 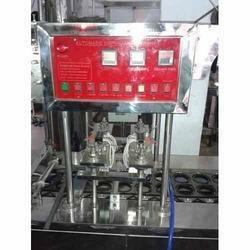 The offered filling machines are exquisite in terms of quality and made in tune with the industry standards. These machines are robust in terms of construction, exceptional with regards to speed and energy efficient. The offered machines are used for the filling bottles with mineral water. 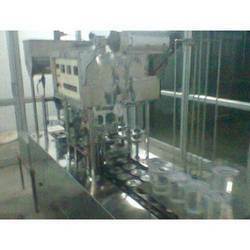 Looking for Cup Filling Machine ?